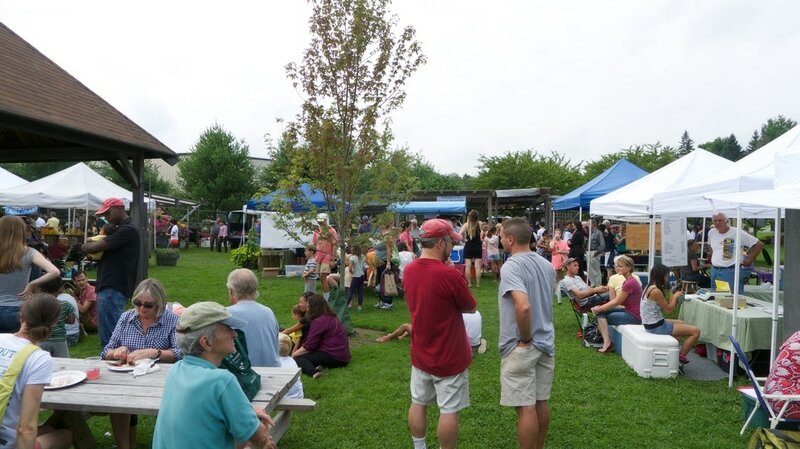 The Norwich Farmers' Market is one of the oldest and largest farmers’ markets in northern New England. The market was founded in 1977 as a collection of local growers and craftspeople interested in selling their products directly to consumers. 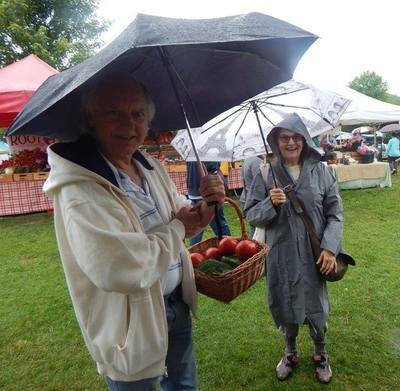 For 40 years the Norwich Farmers' Market has offered the very finest in homegrown and homemade products in the Upper Valley. Our vendors sell only items grown, raised, created, or prepared by their Upper Valley-based business. 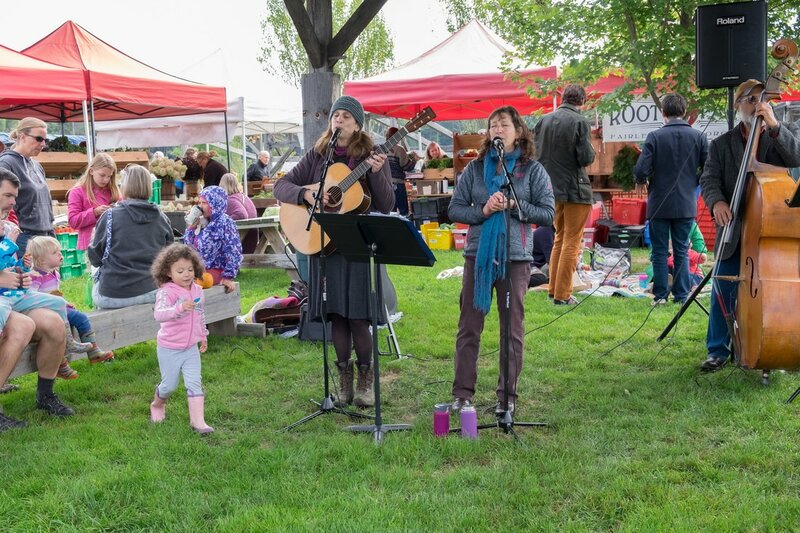 Every Saturday from May through October, and twice a month November through April, vendors offer a rich cornucopia of fresh farm produce, delicious baked goods, and exquisite handcrafted items. 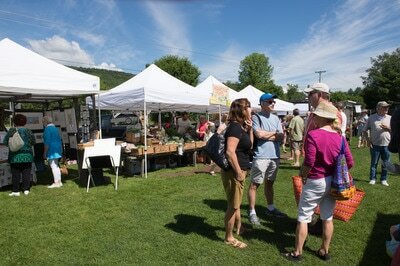 In the summer, you'll find us in our outdoor setting on Route 5 South, about a half mile from Exit 13 off 1-91. In the winter, you'll find us indoors at Tracy Hall in the village of Norwich. 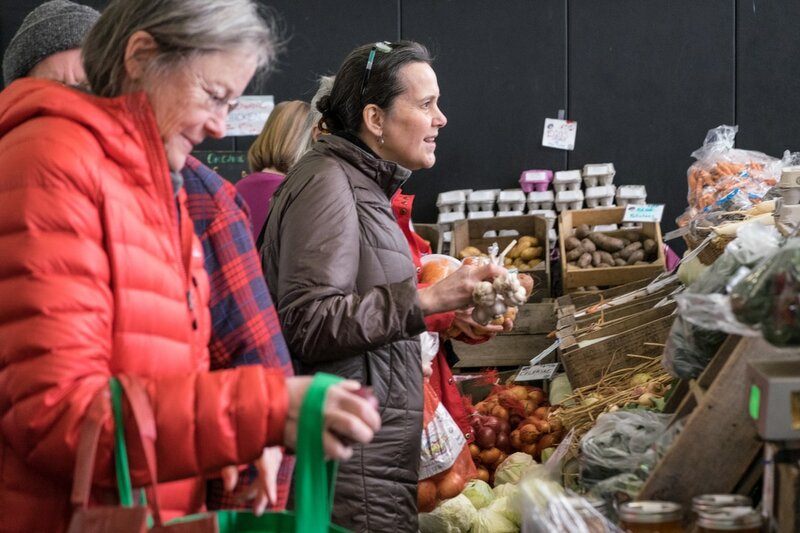 Our farm vendors offer their own fresh fruits and vegetables, cheeses, meats, eggs, honey and maple syrup, fiber products, and an abundance of garden starts and plants. 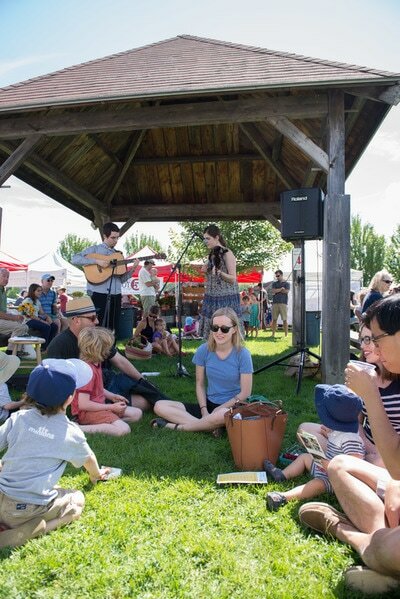 You'll find all manner of baked goods, both sweet and savory, from our prepared food vendors. 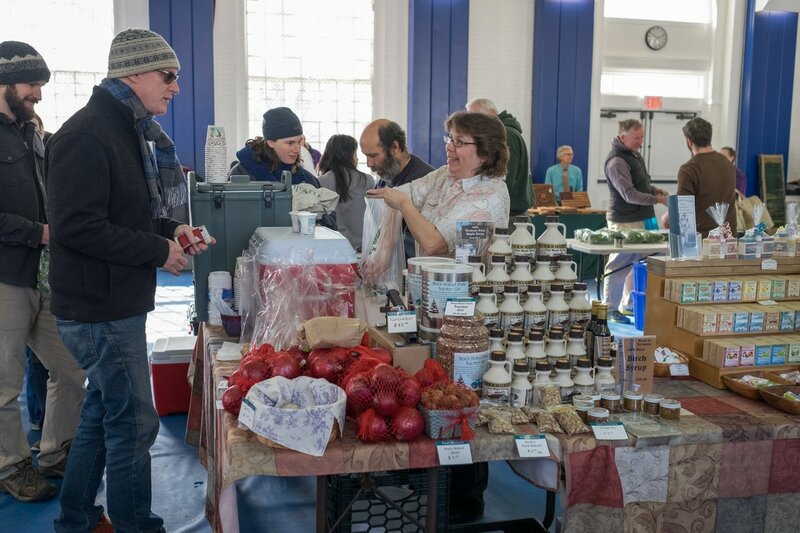 There are selections for breakfast and lunch at the market plus take-home dinners and items to stock your pantry, like jams, pickles and sauces. 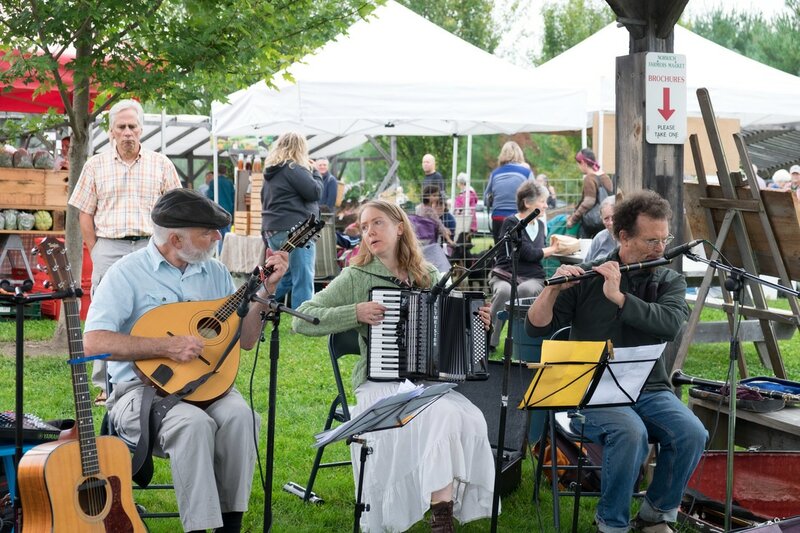 Our craftspeople offer a rich assortment of pottery and jewelry, wooden bowls, dried flowers, greeting cards, herbal scents and lotions, handmade soap, hand knit and woven accessories. 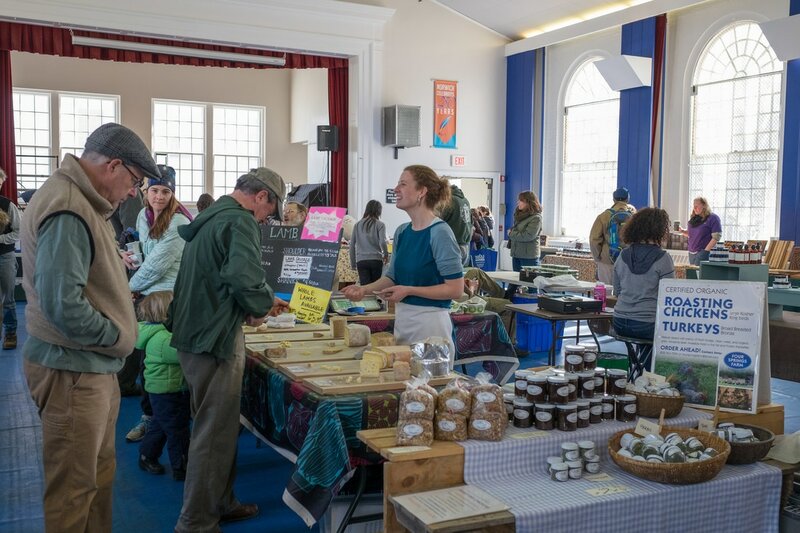 The market is operated by a nonprofit Vermont corporation, Norwich Farmers Market Inc, established for the purpose of providing a sales outlet for local farmers, craftspeople, bakers and producers of prepared foods. The corporation is run by a volunteer board of six directors, who are elected each spring at the annual meeting of the corporation.